One of the most popular types of seafood in America, shrimp are prepared in every way possible. Grilled, fried, boiled, steamed, or broiled, shrimp can do it all. 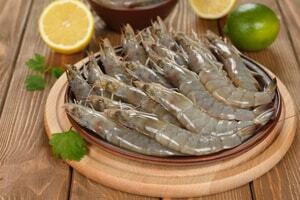 Shrimp are low in fat but high in protein and a host of healthy nutrients. Shrimp come in a several varieties, including brown shrimp, pink shrimp, tiger shrimp, white shrimp, rock shrimp and freshwater shrimp.